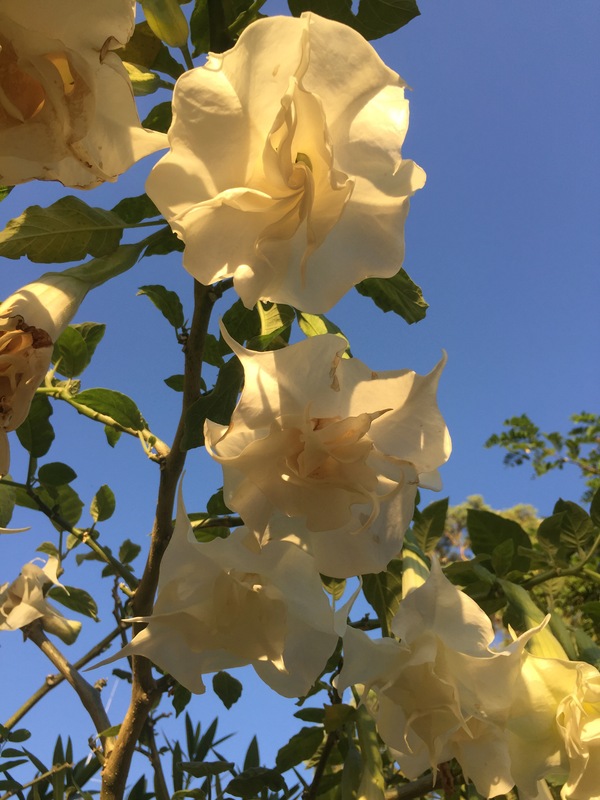 A couple of weeks ago I was very pleasantly surprised to be nominated for a Blue Sky Tag by Jane of the Candelo Blooms blog. Thank you Jane very much for thinking of me! 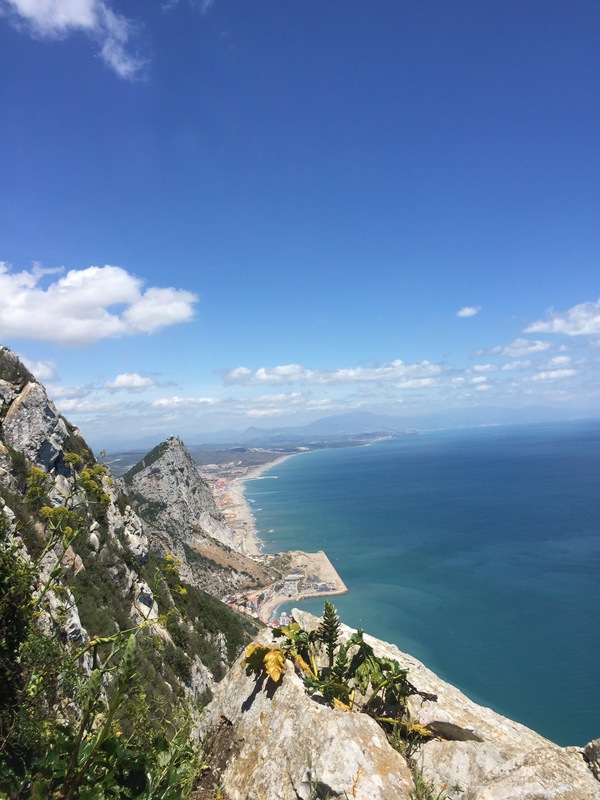 The tag is a fun event which runs throughout June, and requires me to answer 11 questions about myself and Postcard from Gibraltar and then nominate 11 other bloggers for the same award. 1. What do you enjoy most about blogging? I love that it gives me an excuse to take loads of photos and ask questions. I’m a naturally nosy person and before having children I worked as a journalist so this gives me the excuse to be more than just someone’s mum! I also love that it has brought me opportunities which otherwise wouldn’t have happened. I now contribute to an online publication and have become part of a craft group all brought about by my blogging. 2. What other hobbies and pastimes do you enjoy? 3. Given your time over, without any restrictions, what would be your ideal job? Why? Well I did have a pretty perfect job for me, I was a journalist which meant I got to visit special places where the public wasn’t allowed and I got to meet so many interesting people and was able to tell their stories. Aside from the (at times) long working hours and unpredictable shifts it was a dream job. If I could do anything at all though, I would love to be a craftsperson with a talent great enough to make a living from it. I’d love my own workshop (ideally in the countryside or at the end of a large garden) and be surrounded by my crafty things whatever they might be. 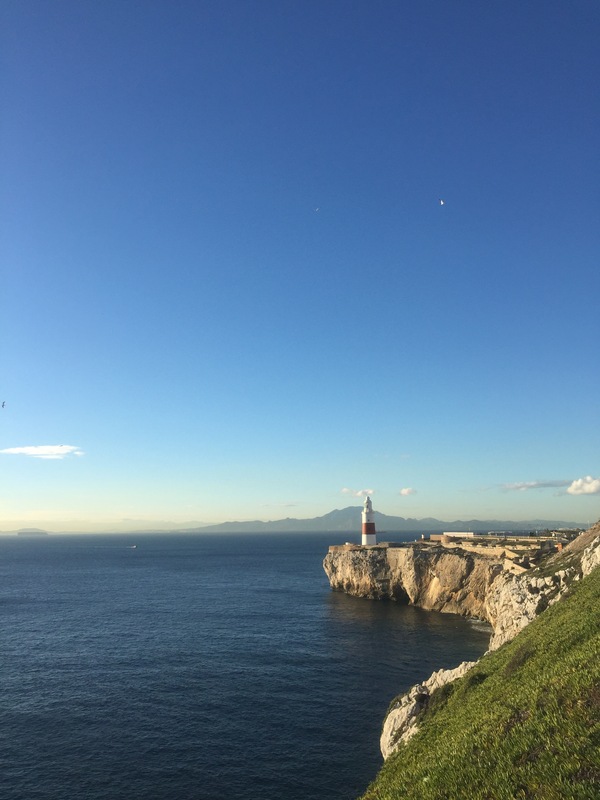 As it is, I live in an apartment in the fifth most densely populated place in the world (or so I’m told) so it’s not likely – I’m very happy as I am though. 4. Which new country would you like to visit? I have had a bit of a fascination with Australia since the magical day I was off sick from school and Neighbours came on the TV in the U.K. for the first time! Back then (when I was around 11 yrs old I think) I started saving 50p of my pocket money each week towards my dream holiday to Ramsay Street and the rest of Australia. I had a page cut out from a holiday brochure I’d snaffled from a travel agents with a 3 week tour of Oz including a trip to Melbourne and was saving up for that (it cost over £2000 back in the late 80s) needless to say I never saved enough! 5. What is your favourite quotation? I have to confess that I didn’t have a favourite quotation in my back pocket ready for this occasion, it took a bit of googling. This is the one which I think best sums up my view on life: “I choose to make the rest of my life the best of my life” by Louise Hay. I have been lucky enough to have had a great life so far, a happy childhood, a great career until I had a much wanted family, however onwards and upwards…. who knows what lies ahead? 6. If you were an animal, what would you like to be and why? This is a tricky question to answer, to be honest I am not a great animal lover. I abhor cruelty to animals but I’m just not a huge animal fan. Just the other evening as Mr Postcard and I were sitting on the balcony at dusk, enjoying the golden moment between the cool dusk breeze arriving and the mosquitos arriving we were watching the seagulls swirling around over our heads calling out to each other. 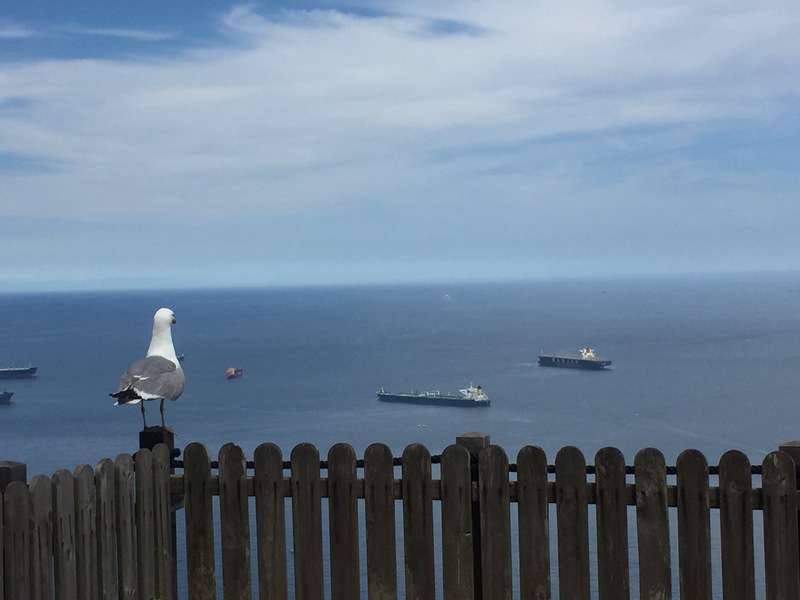 Now I’m not saying I fancy being a seagull eating rubbish out of people’s bins and pooping on the people down below, but it would be fab to be able glide on the thermals and take in the views. 7. What is your favourite time of year and why? Ooh, another tricky one. It rather depends on where I am. 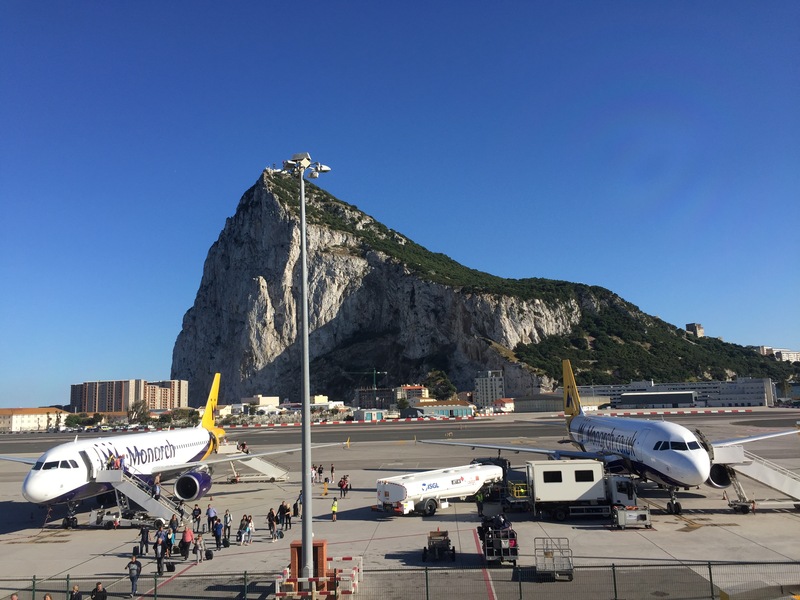 In Gibraltar it has to be spring, the days are often warm and sunny, very much like an English summer’s day but it’s not too hot and you can get stuff done without needing several showers to cool down. 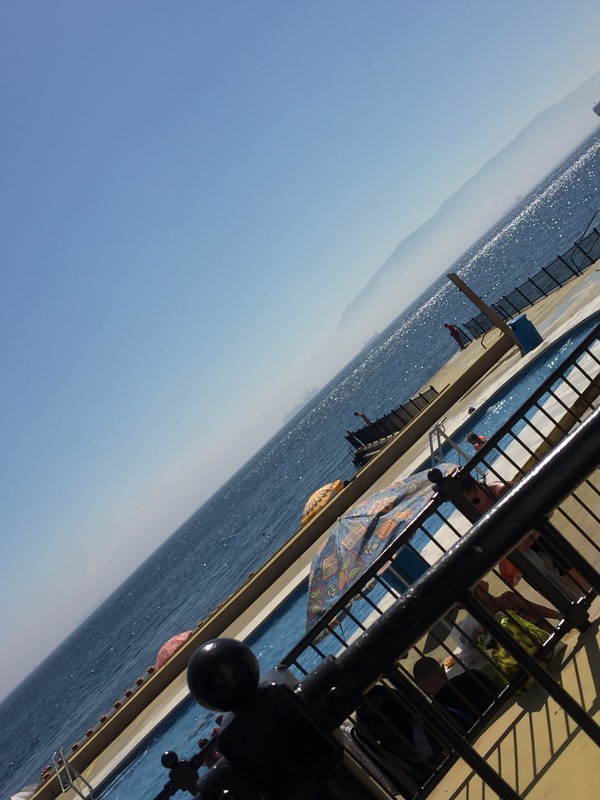 In Britain, I love all the seasons and I miss them dreadfully living here in Gibraltar. I love winter for its cosiness, crunchy frost underfoot and Christmas. Spring is so full of promise with bulbs breaking through the soil and the bright acid green of the newly opened leaves on the trees. Summer is just wonderful when it’s sunny and dry. I love woodland walks and picnics. And Autumn is magical for it’s colourful leaves, conkers and misty cobwebs. Sorry, that doesn’t really answer the question does it? 8. What is your favourite film? I don’t really have a favourite film as such, I have had a few favourites over the years, The Sound of Music and Dirty Dancing featured heavily in my formative years. As an adult I have to admit to a James Bond addiction…. 9. What are the 3 most important character attributes to you? Honesty, I can’t be doing with having to second guess what people are really thinking. Kindness, there is no need to be mean and a little kindness helps the world go round, don’t you agree? Creativity, nothing fires my own creativity than having creative people to inspire me. 10. What is your favourite book and why? My favourite book tends to be the one I am reading at the moment. I am a member of a book club and I love that it introduces me to different genres I wouldn’t normally choose for myself. I am slowly working my way through George R.R. Martin’s Game of Thrones series at the moment, in-between my book club books. I am currently on Book 4, A Feast for Crows. I have watched the TV series up to the point where I am reading, but want to read the books before seeing the series. 11. What is your favourite garden and why? I love pretty much all gardens. 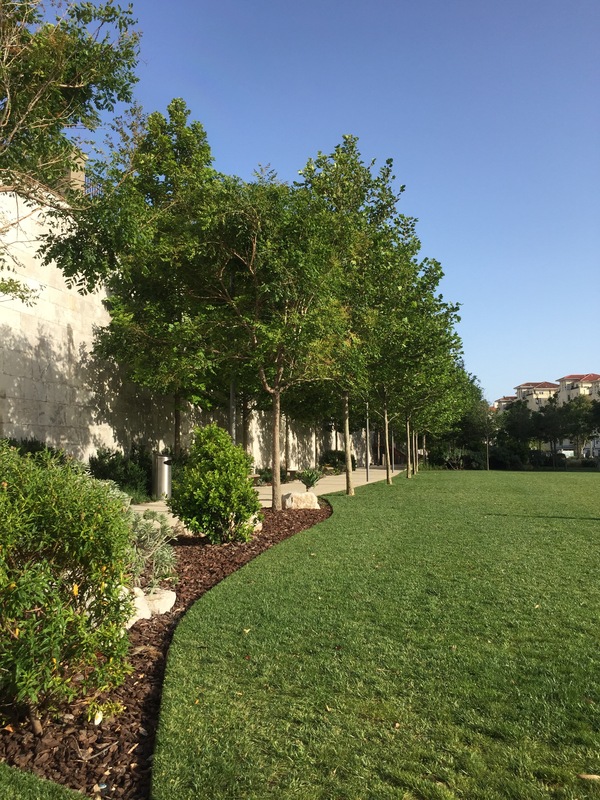 My favourite one here in Gibraltar has got to be the Governor’s gardens at his official residence, the Convent. 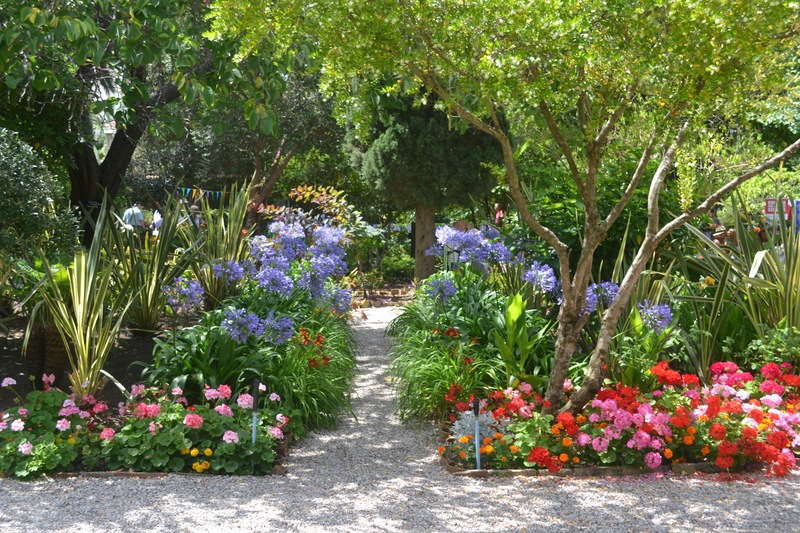 It’s open to the public once a year for the annual Convent garden party and it’s lovely to take a stroll along the shady agapanthus lined paths and enjoy the beautiful trees. It’s a real oasis in a rather built up environment. Now to my Blue Sky nominees…. 4. Tag 11 bloggers and let them know. 2. What made you start your blog and how long have you been doing it? 3. What most attracts you to a blog and what makes you keep reading it? 4. What other hobbies and pastimes do you enjoy? 5. Given your time over, without any restrictions, what would be your ideal job? Why? 6. Which new country would you like to visit? 7. What is playing in your headphones right now? Music, podcast, audio book? 8. What is your favourite book and why? 9. If you could go to any point in history to witness it for yourself, when and where would that be? 10. If you could eat anything for your next meal, what would it be? 11. I’m writing this while watching Glastonbury, what would your dream gig line-up be? There is absolutely no pressure, if you don’t want to take part or don’t have time I won’t be offended! If you do though, please tag me to let me know, in case I miss it. That’s wonderful Cathy! I look forward to reading your answers too 😊. Thank you! Oh the good old Clitheroe Advertiser! How funny! Well I did my work experience as a primary school teacher. That was the best thing I ever did as I realised I didn’t have the patience to work with children. I loved it some of the time but at others I couldn’t handle it. I’m so glad I found out early and was able to change my career path before it was too late! Thanks so much for nominating me, I will decline the invitation, but really appreciate the thought. I will just answer the ‘What do I love about blogging” question though. What a beautiful response Sandra, I think you are totally right. Nothing prepared me for the generosity of fellow bloggers who take the time to read, comment and offer support for each other, the vast majority of whom are total strangers. Lovely to read your sharing through the tag with more incredible images of your experiences. I hope you don’t mind me not officially taking up the challenge on my blog, but I can share a brief response to each question here if its OK.
You will have to read my entire site to understand that, a challenge in itself. I started in November 2014 as a motivation to get into a regular activity to reach out to the world and to share Australia, my photos , Afghan Hounds and haiku poetry all mixed up together. Great photos, stories and poetry. And shared correspondence on these 3. I was almost set to become a diplomat but circumstances saw me do a course at another university and I became a teacher and would not give that up if offered it again. I recently visited New Zealand with my wife Jill for the first time after living as neighbours for so long, I want to get back there again . Impossible to answer we have a huge library. I was an avid reader at 5 and never looked back. I was a History teacher, again impossible to answer, there are so many wrongs to right. Maybe The garden of Eden and that nonsense with the snake and apple, maybe the world would have always been peaceful …………. Sushi eel and vegetable tempura at our local Japanese restaurant. AS a teenager of the 60’s reared on Rock and Roll, I would need too much space needless to say it would be bigger than Woodstock . Denis, thank you so much for your wonderful responses. How interesting that you chose teaching over the life of a diplomat, both fascinating careers, but I can imagine the one you chose had more rewarding moments and you no doubt touched more lives that way. New Zealand looks amazing, that’s a close second after Australia for me. What you see of it on films (particularly Lord of the Rings) and tv looks amazing and a good friend of mine has been to visit her brother there and told me wonderous things about its beauty. Hopefully one day I will see it for myself. I like the sound of your Rock and Roll gig line-up, perhaps a Woodstock do-over with a caravan serving Japanese sushi & tempura would be the answer- sounds fabulous!